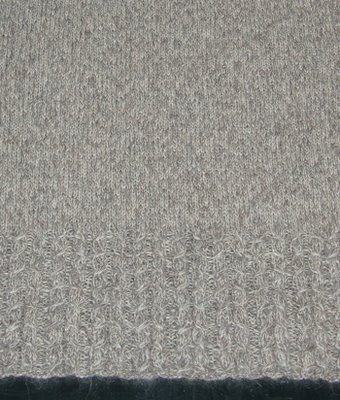 Ivy Knitalong: Hello and check it out! Hi everyone! My name is Malia and I've been diligently working on Ivy since the end of October. I just found this KAL and now I'm done with all my x-mas gifts and back to knitting Ivy! I love this pattern! 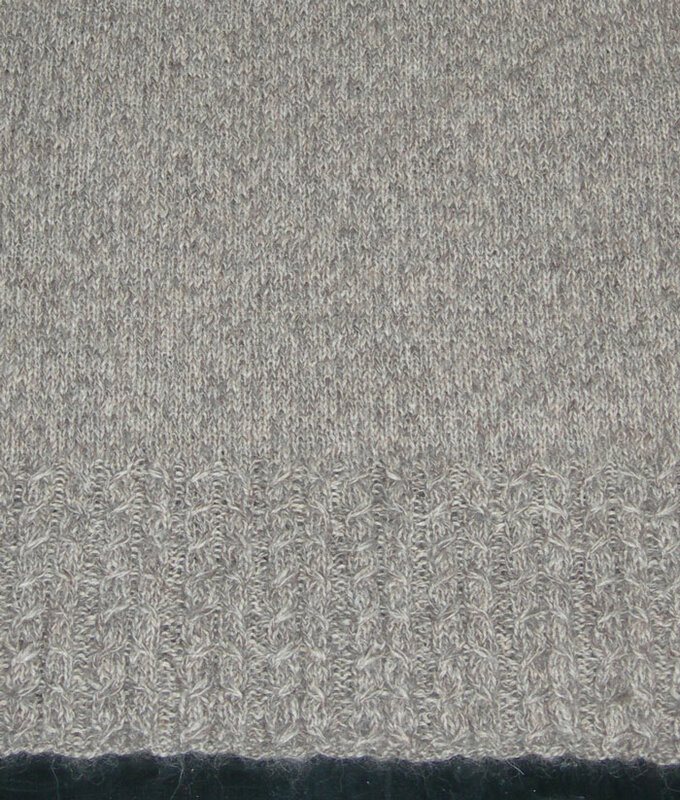 The yarn I chose is a handspun Peruvian Tweed 100% SuperFine Alpaca. 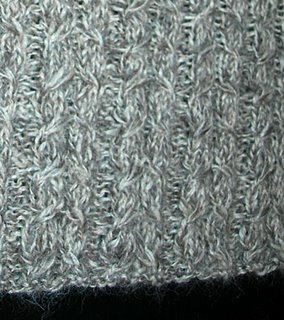 It's got slight thins and thicks as you knit through the hank, since it's handspun. I absolutely adore this yarn, except that it sheds on everything as I'm knitting with it! I was planning to wear Ivy with black pants, but now I'm thinking if I do that, I'll have to carry a lint roller everywhere I go. Hmmmm... just have to finish and see how it does. I'm getting ready to start the front and I'm thinking about doing both front pieces at once. As long as I can keep everything straight, it should work, right? Keeping things straight will be the hard part. 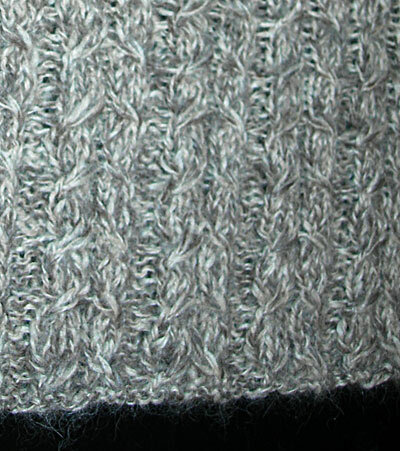 I think I'll try to do the two fronts at the same time at least through the end of the twisted rib section. Then the gauge should be established enough for me to put one of them down for a while. That yarn sounds fantastic, I love the colour and I bet it will be super warm and cozy. Can't wait to see more pics! That yarn looks beautiful and sounds like a very special fibre to knit with. I love the colour too. That's a lovely colour and I bet it's nice and soft. Perhaps you should just get some charcoal trousers instead of the black :-). Grey looks great with so many colours.